Knowledge = confidence. Ignorance = fear. It’s not difficult to decide which one is better, especially when your income is at stake. 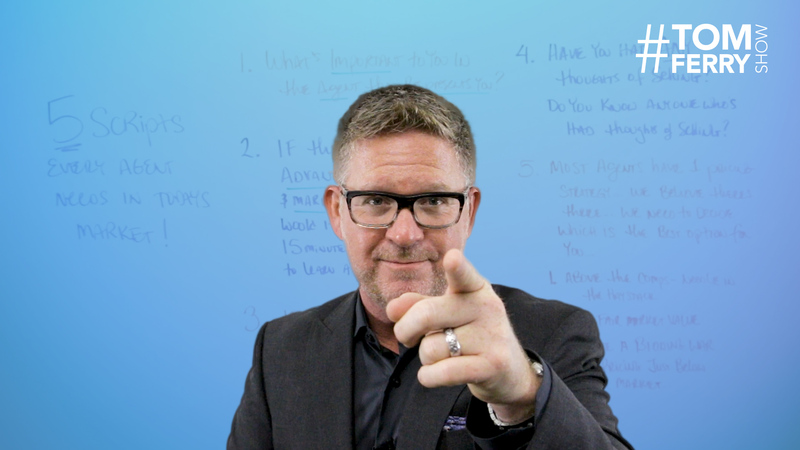 In this #TomFerryShow, I’m sharing five scripts every agent needs to know. I also want to share our new Real Estate Scripts Bundle as a free download. These scripts will provide the knowledge that instills confidence in your sales efforts. Confidence of knowing: What to say, how to say it and when to say it. Ultimately, that confidence will lead to more closed deals. You ready? This is a great question because it gives you the prospect’s hot buttons to push later on down the road. You’re basically asking people to identify what’s most important to them. Once they reveal their answers, you can use that information to tailor your presentation to their criteria. When it turns out you give them exactly what they want, you’ll win the business. This is a very simple, yet effective question. Could anyone truly say no to it? It’s all about thinking about what’s important to the client and promising to deliver that in just 15 minutes. Whether you’re trying to win a new listing at the right price or dealing with a current listing that just doesn’t seem to be gaining any traction, this is an extremely valuable line. Whatever makes properties compelling in your market, make a list and then add “price” at the end. If a home doesn’t meet any of those qualities, you can explain to the homeowners that the best way to make their property more compelling is by lowering their price. 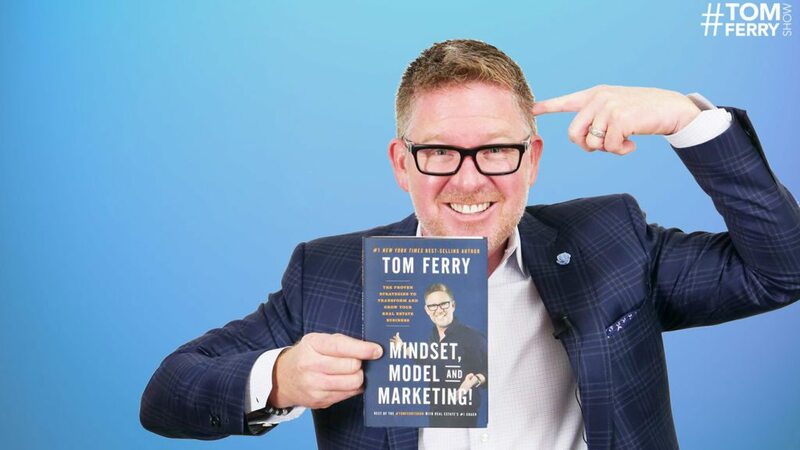 Check out the #TomFerryShow I did on this topic. Here’s another one that’s so simple yet super effective. It’s about always being listing focused, even when out running errands or carrying out your day-to-day activities. Then be quiet and wait until they say something. You might get an immediate “No,” which is fine. Bingo, you’ve cracked open that door! If you get a “No” answer, follow up by saying, “Do you know anyone who’s had thoughts of selling?” Think of all the referral possibilities. All it takes is one or two simple questions. Ask them! It’s designed to get the homeowner to agree to a lower price by getting them to fully understand your strategy. It works best in an active market where properties frequently receive multiple offers. “Most agents have one pricing strategy. I believe there are actually three. “You can price your home above the comps, which I call the ‘needle in the haystack’ approach. You’re hoping just the right buyer comes along and falls in love with your home enough to buy it at an above-market price. “You can price it right in line with fair market value. These scripts are easy to remember and will move the needle for your business. Learn them, gain confidence, integrate them into your conversations and win more clients! For more on this topic, attend Sales Edge, our intensive three-day sales skills bootcamp created to build persuasion and objection-handling skills.